Contact us via email, phone or stop in. Gene Sanes Upholstery believes that every piece of furniture is a work of art to be past down from generation to generation. Our expert craftsmen only use the finest hardwood construction to construct the custom piece to match your specifications. 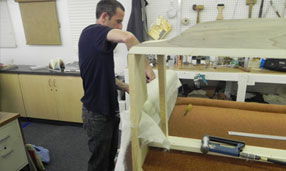 Our skilled designers and craftsmen use time honored techniques to create or reupholster your sofa, loveseat, window treatment or commercial booth to the highest quality. 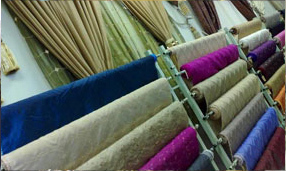 Gene Sanes Upholstery means quality. With our decorating expertise and exciting choices in lines of custom furniture, Pittsburgh customers can create the furniture they want for their homes. 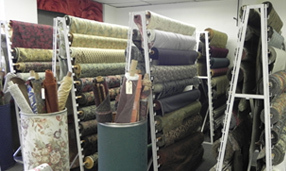 At Gene Sanes Upholstery, you choose the options that help you design your own unique look!